Okey, so me and Kaspar have been working on some ideas for our story and whatnot, but that is not important right now. What is important is that we are thinkign of bringing in some new alien races. However that requires us to go one way or another. 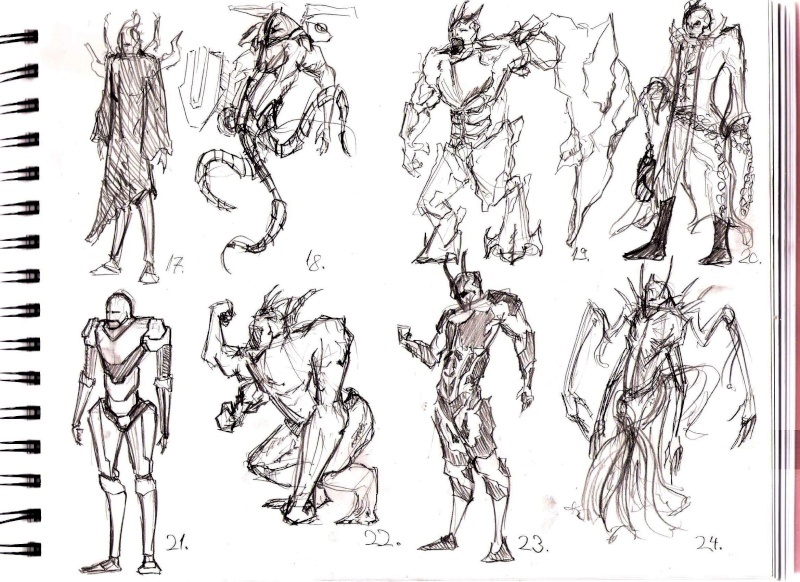 So what I am asking of all of you, is to pick out 5 sketches you like the most from the following and write the numbers down in your post. That way I will get a sense of what kind of sketches are more interesting to people and which are not so much. Personally I like number four and number 24 the most because they look floodish and such. Something you can't stop. Something that's just going to be a b*tch in the story, an unstoppable force (as I metioned before), something that spreads, and once it's at your place you will slowly but surely lose ground because, again, it's just hard to stop. Next to that, I like number six and seven too, because they look so wise, so evolved, something that may seem a very kind and defenseless race but will seriously ruin your day if you mass with them. 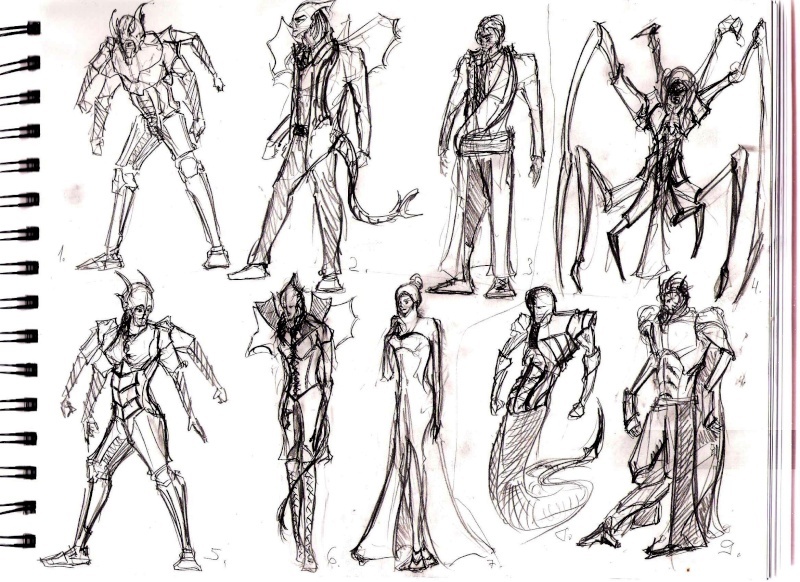 Interesting Sketches! It would be cool to bring in somekind of dragonlike creatures. We could relate the dragons mhythology to it or something like that. 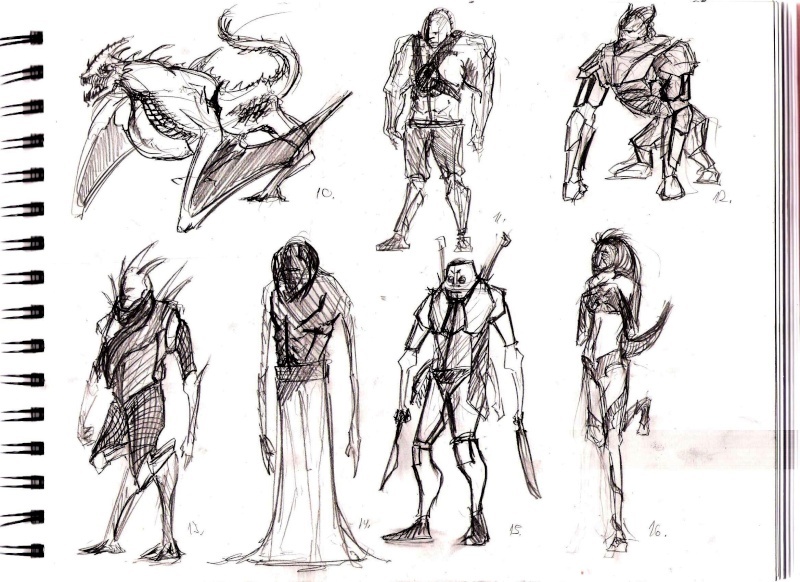 Ghostlike creatures with a somekind of "magical"(metal) fighting ability. You inspired my sister bro!